The last few decades have seen Western culture welcome and consume more holistic, intuitive, and healing practices than ever before. Yet there remains a deep distrust of anything that appears irrational. As practitioners and students of feng shui, at some point on our journey we will meet skeptics who claim that it's superstitious. How should we answer this claim? The Oxford dictionary defines superstition as "any blindly accepted belief or notion." regardless of any reason or logic. Is this the case? Is it true that feng shui is just a belief? Is its analysis without reason or a theoretical framework? Feng Shui is not superstitious. Feng Shui is not just a belief. We do not need to have faith for feng shui to work. If we live in an environment with challenging feng shui, sooner or later it will affect us. We may not be aware that it is feng shui at work; we may just feel uncomfortable or unsettled for some reason, but can't put words to it. Feng Shui offers a paradigm and a terminology to describe this unbalanced state of being. Feng Shui operates on a profound theoretical framework rooted in Chinese metaphysics. Through its long evolution and practice – 3,000 years of collective observation and understanding of nature and of the interactions of yin and yang forces in our environment. ...to say that feng shui is completely devoid of superstition is not true either. The history of feng shui includes many examples of superstitions masquerading as good practice. Will a wind chime near your door frighten away evil spirits? Will you die in your sleep if the foot of your bed is towards the door? This gross misinterpretation of the metaphysics, along with many others, was severely criticized and subsequently dropped out of feng shui practice. Such cases might leave feng shui open to criticism. However the more challenging aspect for the "rational" Western mind to grasp is that irrationality, intuition and subjectivity are necessary parts of feng shui practice. Feng Shui is an art as well as a science. A large part of feng shui analysis requires a personal, intuitive and subjective interpretation of the given data. Dowsing and divination play a role. Chi (energy) itself is invisible to the rational mind. Subjectivity, spirit and heart, balance objective facts and observations in order to produce the best results. Perhaps this part of the discipline is not superstition, but it certainly is non-rational and unquantifiable. We have a superstitious fear of superstition. 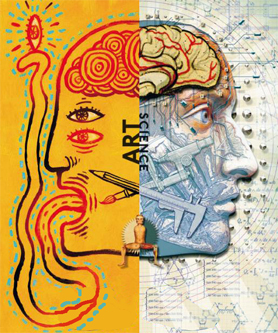 Why must we choose between technology and art, between left brain and right brain? Why can't science and intuition exist side by side? Why can we not accept that behind rational thoughts are feelings and emotions informing us too? These are questions we might ask the skeptics. We might also point out that, while they are good at attacking irrationality and superstition, their extreme zeal for Western science is, ironically enough, highly irrational. It may possibly be driven by fears of facing challenging emotions or unexplained experiences in their own lives. The truth is, Western science does not have all the answers, and Chinese metaphysics, which incorporates and co-exists with "superstition," may be able to provide some of the missing answers. ...in that it fearlessly faces life's complexity and works with opposing forces of nature (complimentary opposites). It seeks balance and harmony, both inside our mind and in the environment. Ultimately it looks at the interactions between human beings and their environment. And since we are human beings, and by nature we are part rational and part irrational, feng shui must also be part scientific and part intuitive. To the Chinese, the brain is tied to the heart (Xin-Yi). To dismiss feng shui as mere superstition is to throw away a valuable resource from the Chinese culture, and possibly part of ourselves too.